Honda Brio is a very reliable vehicle with a peppy engine. Honda has made sure that their vehicle has the best features possible along with top quality of interiors as well. 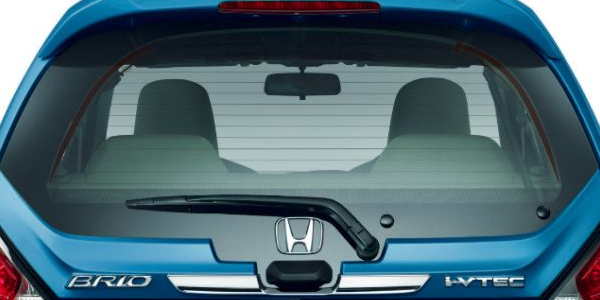 Honda Brio is equipped with a defogger which helps to remove the mist or frost from the rear windshield. When the defogger is turned on, the horizontal lines present on the windscreen get heated up which leads to removal of fog/mist/frost. Especially, in areas where the temperatures are on the lower side or the weather is humid, there is a high chance that condensed water will accumulate on the rear windscreen, this causes an obstruction to the driver, Hence the defogger is a necessity nowadays. Honda Brio is a cute looking car with the iVTEC engine which is available with a manual as well as an automatic transmission. It has an interesting design and is a complete package with features galore and performance that gives its competitors a run for their money.